In the near future, a trip to the doctor’s in China might mean going to an AI-powered booth clinic. 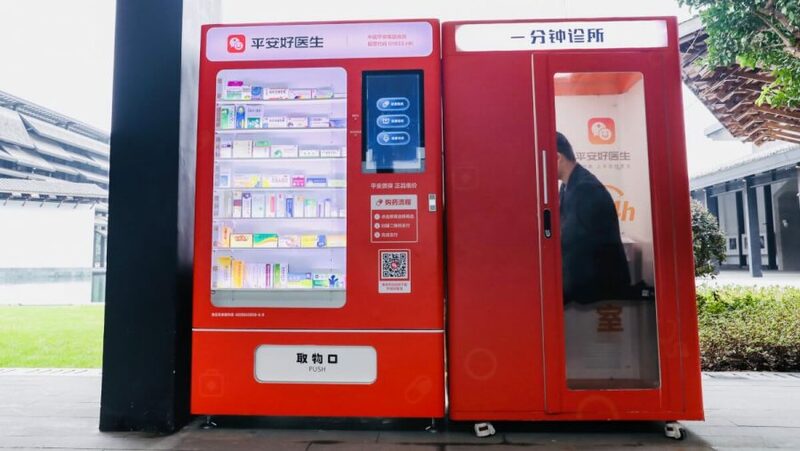 Ping An Good Doctor, China’s biggest online health care platform, plans to build ‘hundreds of thousands’ of its telephone booth-sized, AI-powered, unstuffed clinics all across China. The company’s CEO announced their big plans for revolutionizing healthcare in China. The idea is to gather historical and symptoms data about the patient and provide a diagnosis plan to a specialist consultant doctor. The small AI-powered clinic will, in fact, connect the patients with the company’s in-house medical team in a more convenient way. Text and voice interaction between the patient and the AI agent will provide health-related data. A relevant diagnosis will then be given by a specialist and patients can buy their medicine from the smart drug-vending machine inside the clinic. “We plan to build hundreds of thousands of these unstaffed clinics across the country in three years” – says Wang Tao, CEO and founder of Ping An Good Doctor. A pilot program has already been run in part of Shanghai. The company has big ambitions regarding the employment of AI in healthcare. Previously, Ping An Good Doctor launched a smartphone app called “Good Doctor“ which provides diagnosis, treatment and online appointment booking. Together with the online health services platform the company also has an online medicine store. According to them, the company is oriented towards a “closed loop health care ecosystem” which should bring more convenient medical consultations. China is facing a shortage of doctors recently. This is one way to bridge the gap using technology and Artificial Intelligence. Ping An Good Doctor’s unstuffed booth clinic might play a key role in filling this gap and improving health services across the country.